This awesome couple came form California for their Engagement/ Pre-wedding photo session and we headed to this beautiful, very unique Las Vegas desert location, to the the Dry Lake bed, Nevada to create some awesome images for them. Very simple background, what makes the couple really stand out from the photo. 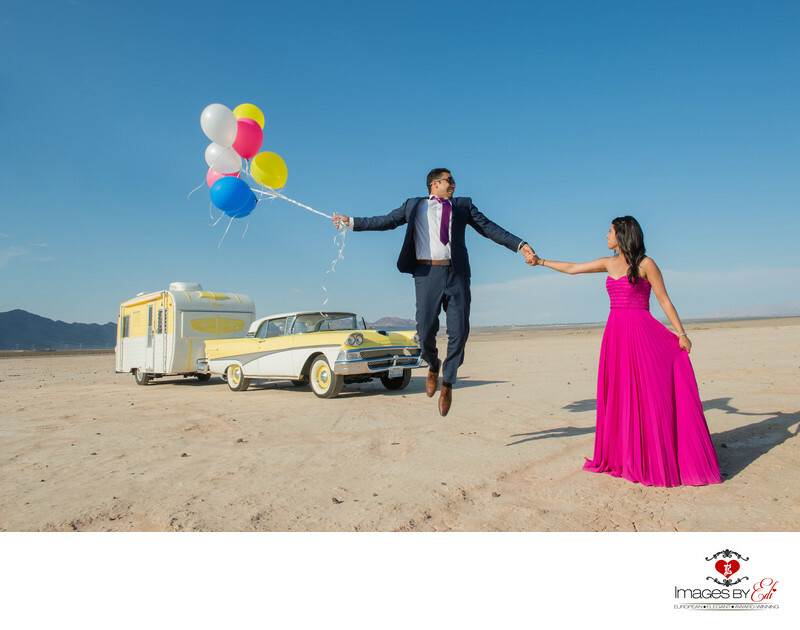 The bride brought some really cool props, like these balloons and Kelly from @VintageWheelsLasVegas provided the pretty awesome classic car & camper for our photography session, what is behind the couple. They got married in India surrounded by friends and family members. Location: Dry Lake Bed, Nevada.